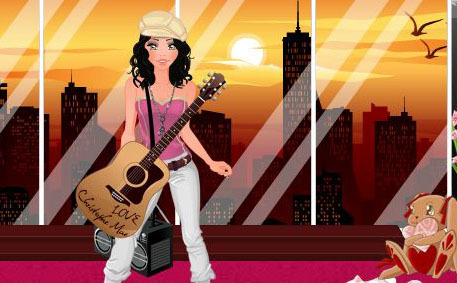 MyDivaDoll is a fun game of fashion and design. In this game you create your DivaDoll, Train her for a cool dream job in fashion or entertainment, Shop for the latest look, decorate her Condo, and help her Flirt with good looking guys! MyDivaDoll is free to play. MyDivaDoll is a great place to meet new friends! You can Gossip about everything, but nothing. An IRC and a Gossip Board are available in the Top Menu under "Community".